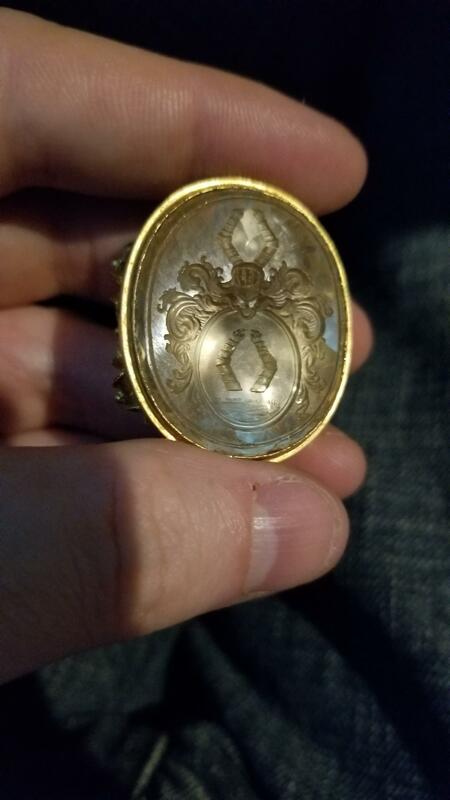 This wax seal was in my late grandmother's possession. Can someone here shed light on the associated surname to this piece? It doesn't seem to fit her maiden mane (Feild) or her married name (Bergen). Looks like a variation of the Armstrong charge, above a field of wheat? Not the answer you're looking for? Browse other questions tagged surnames heraldry or ask your own question. What is the standard method for recording married names? Identifying birth family of Joan Befford/Beauford/Beaford who married John Hobb in 1708 at Launceston, Cornwall? If widow remarries, do English records ca 1820 show maiden name?